This form is for families who are interested in enrolling in the JCUMC Preschool or Kindergarten. ADMISSIONS PROCESS: Thank you for your interest in Johns Creek United Methodist Church Preschool. You will be notified if a spot is available for your child. At that time, you will be asked to fill out an online enrollment form and submit the Enrollment/Registration Fee. 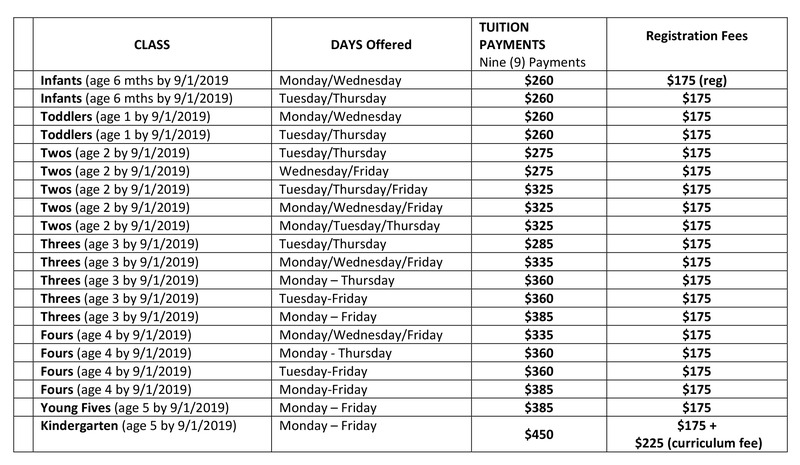 (Kindergarten students must pay the 1st Tuition payment upon enrollment). What is your child's previous school experience? Please give a brief description of your child's experience in a school environment. E.g., will this be his/her first school experience? Has he/she been in a nursery or daycare? What allergies does your child have, if any? Please list any allergies that would be important for us to know about to ensure his/her safety in the school environment. Has your child received any of the following services?